After 22 successful years in the business Jamie Lewis is recognized worldwide as one of the pioneers of house music and one of the scenes premier House DJ’s. DJ Jamie Lewis first appeared on the Swiss club scene in 1985, spinning classic disco and funk before getting wrapped up in the late-’80s birth of house, becoming one of the European scene’s major players. In 1987 he opened his own record shop (Dee Jay Service in Winterhur, Switzerland), which became a mainstay of the Swiss DJ scene. Already a major player in shaping house music’s future via his club presence, Lewis stepped in to the recording world in 1992, releasing his debut with the Italian UMM label, his sophomore release emerging two years later on the Canadian Definitive Records. 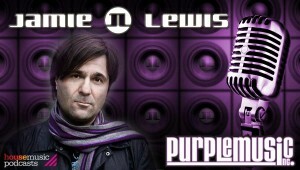 Thanks to the success of his first two albums, Lewis established his own Purple Music label in 1997, collaborating with influential artists like Cerrone, Bob Sinclair, John Acquaviva, Brian Tappert, dj Pippi to a name a few. In support of the new label, that same year Lewis and friends began a residency called Purple Music Nights at the Zurich nightspot Kaufleuten. Since then, Lewis has maintained a consistent presence in the world’s most important clubs, spinning for packed houses from New York to L.A., Ibiza to Athens, Dubai to London, Miami to Paris and more. Productions like “The Light” and “Be Thankful” with Michelle Weeks and remixes like Cerrone’s ft. Jocelyn Brown ”Hooked on you” have become some of house music’s most played titles. Jamie Lewis’ music has been released by such important labels as the U.K.-based Defected, US Subliminal and multinational Universal. In the past decade Jamie has graced the decks at the most famous clubs in the world with residencies @ El Divino Ibiza, Penelope (Ibiza), Pacha (Mallorca) Kaufleuten (Zurich), CATWALK (Barcelona), QUEEN (Paris), Home (Amsterdam), Desire (Crete), Ambasada Gavioli (Lublijiana), Jubilee (Bari). As well as DJ appearances at legendary clubs like: Pacha (Ibiza, Madrid, Mallorca, London), El Divino & Privilege (Ibiza), Cielo & Pink Elephant (New York), La Indiana (Valencia), Dreamers (Marbella), Z), Queen, Mandalaray, Bobino,L’Etoile (Paris), Cavo Paradiso (Mykonos), Venue (Athens), Desire (Creete) Level ,Opium Garden, Shore Club & Nikki Beach(Miami), Balance (Los Angeles),The ends Up (S.Francisco), U 60311,Mach1,M1, Tiefenrausch, Acanto (Germany), Echoes, Jubilee, Goa, Riobo, Cromie ,Nafura, Quartiere latino, Mavu, Biba, (Italy), Sugar (Singapore), Bed Supper club (Bangkog), Dragon-I (Hong Kong), Ministry of Sound, Pacha, Turnmills, The End (London), Ambasada Gavioli, (Slovenija), Hacienda, Gallery, Papaya (Croazia), Hollywood (Estonia), Nautilus (Latvia), Emerald (St Peterburg),Tank(Sidney), Utopia (Warsaw), Trilogy (Dubai), Moulin Rouge(Vienna), Seculo xix, Vogue,sabao rosa, Hit club, BBC, Via Rapida (Portugal), Bliss (St Marteen), Bloomingdale, (Holland), Colosseum (Skopje) & in many others worldwide incl. Morocco, Polen, Georgia, Spain, France, Italy, Germany, USA, Greece and Croatia. Cerrone by JAMIE LEWIS Album (Malligator-Pias) featuring the best club hits of the French disco king, all remixed by Jamie Lewis. After the huge success of Cerrone’s first mixed album by Bob Sinclar, now comes the turn of the Swiss legend Mr Jamie Lewis. Jamie Lewis collaborates with over 75 radio stations (fm and internet) worldwide with a weekly radio show at RADIO FG (France/Belgium), 105 Switzerland & Italy, and monthly collaboration with Maxima & Loca fm, Ibiza Global radio, Radio Valencia (Spain), Radio Nova Era (Portugal), Kiss Fm (Greece), Ministry of Sound(UK), Partygroove, Radio Norba, Selene(Italy) ,Big City Beats (Germany) to name a few…. After an excellent summer residency at El Divino this summer in Ibiza Jamie Lewis and his label started a new residency in Dubai‘s Barasti Beach as well as @ Deep Club in Geneva. For March 2010 his second artist album is expected: “THE BEST OF” including his many club hits, main remixes and productions of his outstanding career….